During the Southern Hemisphere’s summer season, the South Pole bustles with science activity, from cosmic observations to seismic and atmospheric studies. This year, researchers are taking a close look at what lies below. 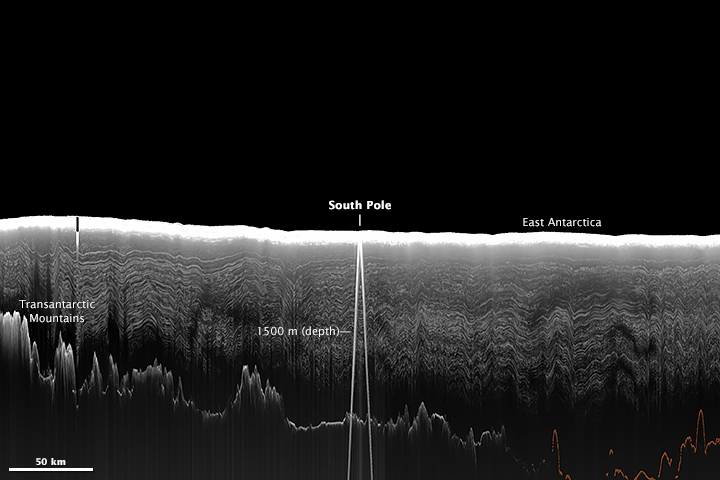 The image above shows a slice through almost 3 kilometers (1.9 miles) of ice spanning a few hundred kilometers on each side of the South Pole. (Note that the horizontal scale differs from the vertical scale.) From this perspective, ice would be flowing into the page, or away from you. Over many years, snow that fell at the surface has been compressed and transformed into successive layers of ice. The process continues and layers become further compressed under the tremendous weight of the ice sheet. The ice that makes up a single layer is a uniform age and contains information about the composition of the atmosphere at the time that the snow initially fell. Radar instruments on aircraft can detect these layers by transmitting microwave signals and recording the magnitude of the echoes returned to the instrument. The method works because the strength of the echo varies depending on factors such as density and the amount of impurities in each layer. In the radar image above, the stratigraphy (layers) appears misshapen in places, possibly caused by drag over rough bedrock “upstream” or from irregular ice flow. Orange lines highlight the part of the bedrock where the data are faint. White lines on either side of the South Pole are reflections from buildings at the surface. These radar data were collected during an airborne campaign in December 1998 led by the University of Texas Institute for Geophysics (UTIG). For two successive seasons, scientists with the Pensacola-Pole Transect campaign surveyed from the Ross Ice Shelf, southward over the Transantarctic mountains between the Scott and Reedy Glaciers, and over the South Pole. This particular scene was collected over the course of two days. According to Don Blankenship, whose UTIG team collected the data and later prepared this image, “this is one of the few and possibly the most recent image of this particular transect through the South Pole.” There has not yet been a scientific need to collect newer imagery across a such a large swath of the region. The view recently proved useful for scientists choosing a site for the drilling and recovery of a new ice core. Scientists began drilling in early December 2014, and when completed in 2016 the core will be the deepest yet recovered from near the South Pole. Scientists aim to drill down 1,500 meters (4,900 feet) to where the ice is about 40,000 years old. 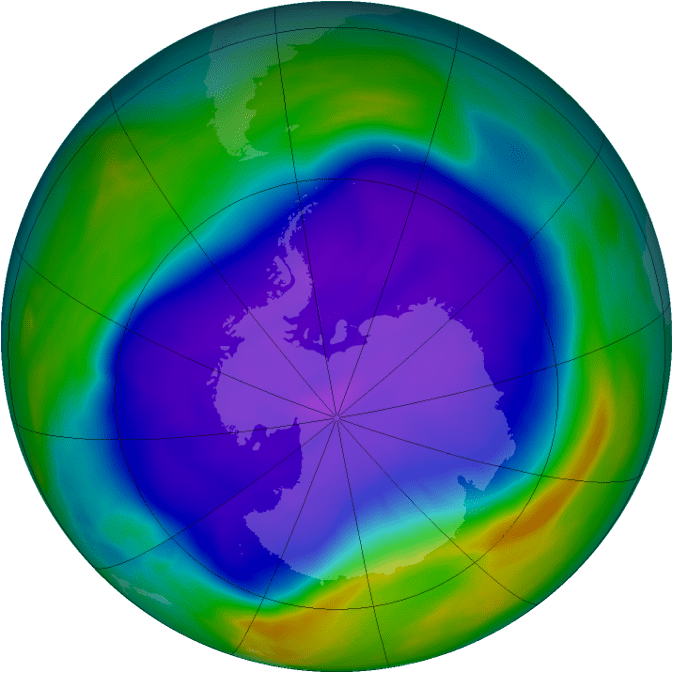 Analysis of the layers will provide a detailed history of the climate and environment in a unique area of the continent where moist air from the west meets cold, dry air from the east. Casey, K.A. et al., (2014) The 1500 m South Pole ice core: recovering a 40 ka environmental record. Annals of Glaciology 55 (68), 137-146. South Pole Ice Core (2014) Overview. Accessed December 22, 2014. National Snow & Ice Data Center (2014) <em>What is a glacier? Accessed December 22, 2014. University of Copenhagen Centre for Ice and Climate (2014) Ice core impurities Accessed December 22, 2014. Images courtesy of Don Blankenship and Marie Cavitte, University of Texas Institute for Geophysics (UTIG), based on work funded by the National Science Foundation. Caption by Kathryn Hansen. This geomagnetic reversal would cause your hiking compass to seem impossibly backwards. However, within our planet’s history, scientists know that this kind of thing actually has happened…not suddenly and not within human time scales, but the polarity of the planet has in fact reversed, which has caused scientists to wonder not only how it’s happened, but why. 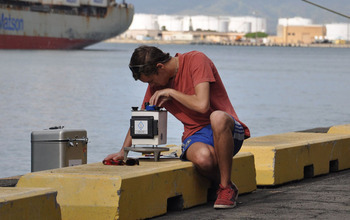 Before leaving port, an undergraduate student acquires important control data with a gravitometer. 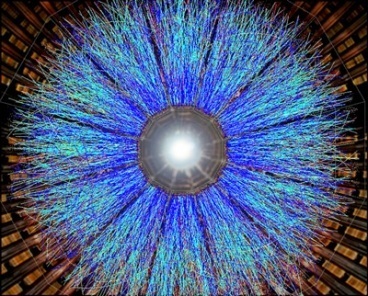 A supercomputer to model flow patterns in Earth’s liquid core. Dr. Gary A. Glatzmaier – Los Alamos National Laboratory – U.S. Department of Energy. Researchers Tominaga, Maurice Tivey (from Woods Hole Oceanographic Institution) and William Sager (from University of Houston) have an interest that goes further back in history to the Jurassic period, 145-200 million years ago when a curious anomaly occurred. Scientists originally thought that during this time period, no geomagnetic reversals had happened at all. However, data–like the kind that Tominaga’s team will be collecting–revealed that in fact, the time period was full of reversals that occurred much more quickly. Tominaga notes that another key part to the cruise’s mission is record keeping; it’s why an archivist is part of her team. He even will blog daily (with pictures). As foundational research, it’s important to “keep every single record intact,” and she believes this broadcasting daily narrative will assist in this effort. Additionally, the plan is to share the collected data as soon as possible with other researchers who can benefit from it as well. “Without going there, getting real data–providing ground truth–how do we know what is going on?” Tominaga said, explaining fieldwork’s importance. Asteroids and comets that repeatedly smashed into the early Earth covered the planet’s surface with molten rock during its earliest days, but still may have left oases of water that could have supported the evolution of life, scientists say. The new study reveals that during the planet’s infancy, the surface of the Earth was a hellish environment, but perhaps not as hellish as often thought, scientists added. Earth formed about 4.5 billion years ago. The first 500 million years of its life are known as the Hadean Eon. Although this time amounts to more than 10 percent of Earth’s history, little is known about it, since few rocks are known that are older than 3.8 billion years old. For much of the Hadean, Earth and its sister worlds in the inner solar system were pummeled with an extraordinary number of cosmic impacts. 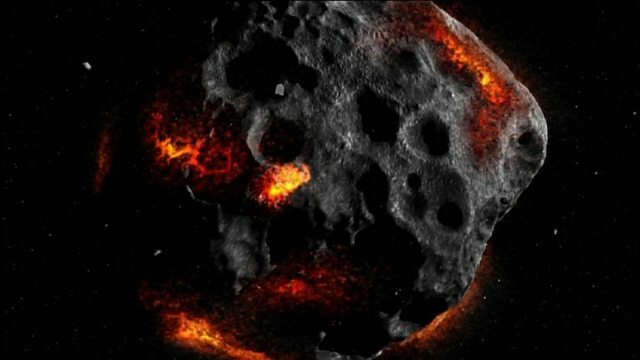 “It was thought that because of these asteroids and comets flying around colliding with Earth, conditions on early Earth may have been hellish,” said lead study author Simone Marchi, a planetary scientist at the Southwest Research Institute in Boulder, Colorado. This imagined hellishness gave the eon its name — Hadean comes from Hades, the lord of the underworld in Greek mythology. However, in the past dozen years or so, a radically different picture of the Hadean began to emerge. Analysis of minerals trapped within microscopic zircon crystals dating from this eon “suggested there was liquid water on the surface of the Earth back then, clashing with the previous picture that the Hadean was hellish,” Marchi said. This could explain why the evidence of the earliest life on Earth appears during the Hadean — maybe the planet was less inhospitable during that eon than previously thought. The exact timing and magnitude of the impacts that smashed Earth during the Hadean are unknown. To get an idea of the effects of this bombardment, Marchi and his colleagues looked at the moon, whose heavily cratered surface helped model the battering that its close neighbor Earth must have experienced back then. “We also looked at highly siderophile elements (elements that bind tightly to iron), such as gold, delivered to Earth as a result of these early collisions, and the amounts of these elements tells us the total mass accreted by Earth as the result of these collisions,” Marchi said. Prior research suggests these impacts probably contributed less than 0.5 percent of the Earth’s present-day mass. The researchers discovered that “the surface of the Earth during the Hadean was heavily affected by very large collisions, by impactors larger than 100 kilometers (60 miles) or so — really, really big impactors,” Marchi said. “When Earth has a collision with an object that big, that melts a large volume of the Earth’s crust and mantle, covering a large fraction of the surface,” Marchi added. These findings suggest that Earth’s surface was buried over and over again by large volumes of molten rock — enough to cover the surface of the Earth several times. This helps explain why so few rocks survive from the Hadean, the researchers said. However, although these findings might suggest that the Hadean was a hellish eon, the researchers found that “there were time gaps between these large collisions,” Marchi said. “Generally speaking, there may have been something on the order of 20 or 30 impactors larger than 200 km (120 miles) across during the 500 million years of the Hadean, so the time between such impactors was relatively long,” Marchi said. The researchers suggested that life emerging during the Hadean was probably resistant to the high temperatures of the time. Marchi and his colleagues detailed their findings in the July 31 issue of the journal Nature. Researchers from Northwestern University and the University of New Mexico report evidence for potentially oceans worth of water deep beneath the United States. Though not in the familiar liquid form — the ingredients for water are bound up in rock deep in the Earth’s mantle — the discovery may represent the planet’s largest water reservoir. A blue crystal of ringwoodite containing around one percent of H2O in its crystal structure is compressed to conditions of 700 km depth inside a diamond-anvil cell. Using a laser to heat the sample to temperatures over 1500C (orange spots), the ringwoodite transformed to minerals found in the lowermost mantle. Synchrotron-infrared spectra collected on beamline U2A at the NSLS reveal changes in the OH-absorption spectra that correspond to melt generation, which was also detected by seismic waves underneath most of North America. This water is not in a form familiar to us — it is not liquid, ice or vapor. This fourth form is water trapped inside the molecular structure of the minerals in the mantle rock. The weight of 250 miles of solid rock creates such high pressure, along with temperatures above 2,000 degrees Fahrenheit, that a water molecule splits to form a hydroxyl radical (OH), which can be bound into a mineral’s crystal structure. Schmandt and Jacobsen’s findings build on a discovery reported in March in the journal Nature in which scientists discovered a piece of the mineral ringwoodite inside a diamond brought up from a depth of 400 miles by a volcano in Brazil. That tiny piece of ringwoodite — the only sample in existence from within the Earth — contained a surprising amount of water bound in solid form in the mineral. For years, Jacobsen has been synthesizing ringwoodite, colored sapphire-like blue, in his Northwestern lab by reacting the green mineral olivine with water at high-pressure conditions. (The Earth’s upper mantle is rich in olivine.) He found that more than one percent of the weight of the ringwoodite’s crystal structure can consist of water — roughly the same amount of water as was found in the sample reported in the Nature paper. Jacobsen’s findings produced the same evidence of partial melt, or magma, that Schmandt detected beneath North America using seismic waves. Because the deep mantle is beyond the direct observation of scientists, they use seismic waves — sound waves at different speeds — to image the interior of the Earth. “Results: Heme c is an important iron-containing post-translational modification found in many proteins. It plays an important role in respiration, metal reduction, and nitrogen fixation, especially anaerobic respiration of environmental microbes. Such bacteria and their c-type cytochromes are studied extensively because of their potential use in bioremediation, microbial fuel cells, and electrosynthesis of valuable biomaterials. 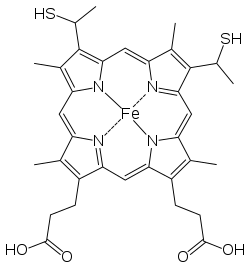 Why It Matters: Iron is a critical part of many biological processes; however, it is often not biologically available or it can be toxic in high quantities. So, biological systems have developed intricate methods to use and store iron. Many environmentally important microbes and microbial communities are rich in c-type cytochromes. Combining HAC and data analysis tailored to the unique properties of heme c peptides should enable more detailed study of the role of c-type cytochromes in these microbes and microbial communities. “Since 2009, SLAC scientist John Bargar has led a team using synchrotron-based X-ray techniques to study bacteria that help clean uranium from groundwater in a process called bioremediation. Their initial goal was to discover how the bacteria do it and determine the best way to help, but during the course of their research the team made an even more important discovery: Nature thinks bigger than that. The researchers discovered that bacteria don’t necessarily go straight for the uranium, as was often thought to be the case. The bacteria make their own, even tinier allies – nanoparticles of a common mineral called iron sulfide. Then, working together, the bacteria and the iron sulfide grab molecules of a highly soluble form of uranium known as U(VI), or hexavalent uranium, and transform them into U(IV), a less-soluble form that’s much less likely to spread through the water table. According to Barger, this newly discovered partnership may be the basis of a global geochemical process that forms deposits of uranium ore.
And it’s all done using one of the most basic types of chemical reactions known: oxidation and reduction, commonly known as ‘redox.’ Redox reactions can be thought of as the transfer of electrons from donor atoms to atoms that are hungry for electrons, and they are a primary source of chemical energy for both living and non-living processes. Photosynthesis involves redox reactions, as does cell respiration. Iron oxidizes to form rust; batteries depend on redox reactions to store and release energy. The study, published Monday in the Proceeding of the National Academy of Sciences, was conducted at the Old Rifle site on the Colorado River, a former uranium ore processing site in the town of Rifle, Colo. 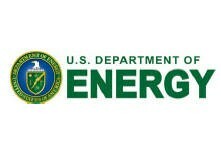 The aquifer at the site is contaminated with uranium and is the focus of bioremediation field studies conducted by a larger team of scientists at Lawrence Berkeley National Laboratory and funded by the Department of Energy’s Office of Biological and Environmental Research. As part of their study, the LBNL team added acetate – essentially vinegar – to the aquifer in a series of injection wells to “feed the bugs,” as Bargar put it, allowing acetate to flow throughout the aquifer around the wells. 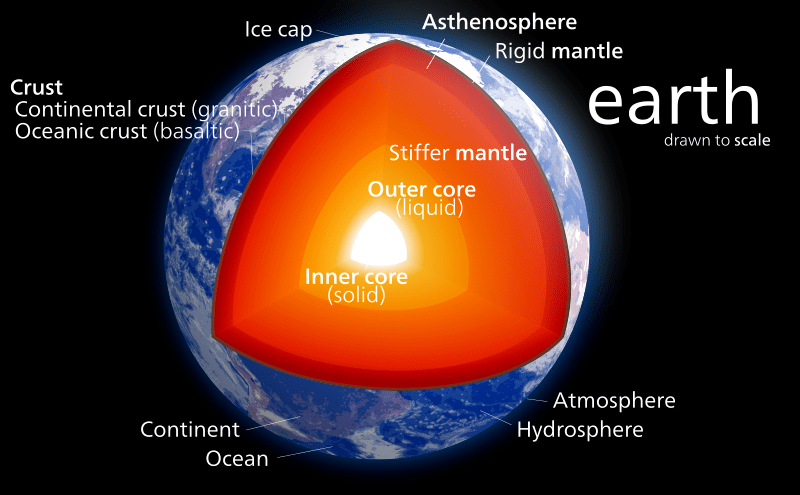 The inner core of the Earth is the remotest area on the globe, mostly impossible to study directly. It is an area of the planet that experiences both extremely high pressure ranging from 3,300,000 to 3,600,000 times atmospheric pressure, and extremely high temperatures somewhere from 5000 to 6000 K. One way to study this area is by recording how sound waves travel across the interior, matching these profiles to known information about how sound waves travel through candidate iron alloys, and attempting to discern which materials must be present. This method requires an understanding of how sound waves travel through the potential materials present in the core. A team of researchers utilized APS x-rays to develop a new model of how sound waves travel through iron and iron-silicon alloys, showing for the first time that increased temperatures will affect the sound wave profile, and that sound velocity and density correlate in a non-linear way. Their results suggest that the amount of light elements in the inner core could be two times more than estimated in previous studies without considering these effects. Velocity-density plots of the samples at high pressures and temperatures. The top panel shows the velocity-density plot for hcp-Fe at both 300 K and 700 K. The dashed lines shows the linear fit, while the solid line shows the power law fit, which matches the data more closely. The bottom panel shows the velocity-density relation of both hcp-Fe and the iron-silicon alloy at 300 K.
“An international collaboration including researchers from Lawrence Livermore National Laboratory has discovered that the Earth’s core formed under more oxidizing condition’s than previously proposed. Through a series of laser-heated diamond anvil cell experiments at high pressure (350,000 to 700,000 atmospheres of pressure) and temperatures (5,120 to 7,460 degrees Fahrenheit), the team demonstrated that the depletion of siderophile (also known as “iron loving”) elements can be produced by core formation under more oxidizing conditions than earlier predictions. ‘We found that planet accretion (growth) under oxidizing conditions is similar to those of the most common meteorites, said LLNL geophysicist Rick Ryerson. The research appears in the Jan. 10 edition of Science Express. Other teams members include Julien Siebert and Daniele Antonangeli (former LLNL postdocs) from the Université Pierre et Marie Curie, and James Badro (a faculty scholar at LLNL) from the Institut de Physique du Globe de Paris. See the full and enlightening article here. “What does pulling a radar-equipped sled across the Arctic tundra have to do with improving our understanding of climate change? It’s part of a new way to explore the little-known world of permafrost soils, which store almost as much carbon as the rest of the world’s soils and about twice as much as is in the atmosphere. The new approach combines several remote-sensing tools to study the Arctic landscape—above and below ground—in high resolution and over large spatial scales. It was developed by a group of researchers that includes scientists from the U.S. Department of Energy’s Lawrence Berkeley National Laboratory (Berkeley Lab). 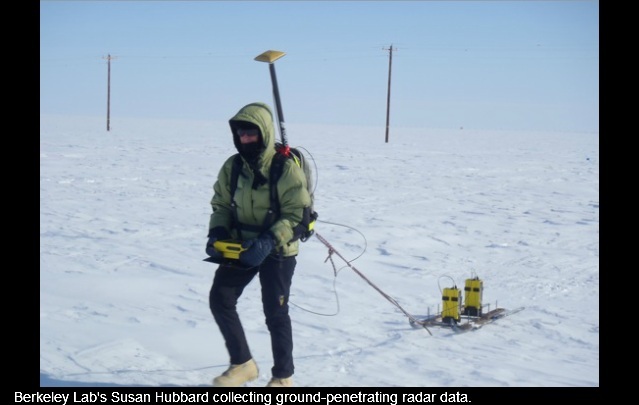 ‘By combining surface geophysical and airborne remote-sensing methods, we have a new window that allows us to study permafrost systems like never before,’ says Susan Hubbard, a geophysicist in Berkeley Lab’s Earth Sciences Division who leads the Lab’s participation in the NGEE-Arctic collaboration. Carbon sequestration and carbon dioxide are constants in our lives, making this a very important research. See the full article here.